Its always a mystery when I feel ill, mostly because I so rarely get sick anymore and also because I’ve used homeopathic medicine for my primary wellbeing for the past 30 years. It helps to relish a mystery and to channel your inner detective in order to determine which homeopathic medicine is the right one for you in the moment. Paying attention to your symptoms is a must, as these will lead you to the proper homeopathic medicine choice. For 30 years, this has been my interest and my passion and has aided my ability to avoid prescription and over the counter meds. So it was a mystery to me why I felt nauseous for the past two days, without any other symptoms. I won’t bore you with the details, but all I felt was weak, and a little sore in my muscles. Its not unusual to fail in selecting the right homeopathic medicine when you feel so sick. The good news is that taking the wrong homeopathic medicine won’t hurt you, it will just delay you feeling better sooner. Over the past two days, I took a few different homeopathic medicines for flu; Bryonia, Arsenicum and even Veratrum, for the cramping in my intestines. While each of these seemed to take the edge off what I was feeling, none of them brought me back to feeling well again. I admit to being a pretty intuitive person and sometimes getting answers from my intuition takes longer than usual. Last night, after I began the process of canceling all my appointments for the next day or so, I once again got out my homeopathic books and this time looked up Flu instead of nausea. After reading over the list of homeopathic medicines and their respective flu symptoms, I could eliminate all the ones I’d already tried and focus on the rest. Only one stood out: Rhus tox, which is a medicine made from poison ivy and is the medicine for over-exertion and for flu caused by over-exertion. I knew in my gut that I’d found the right homeopathic medicine and went and found a bottle of it in my medicine box. Immediately after taking a few of the Rhus tox pellets, my stomach went through a round of gurgling and I rested in bed for awhile. Even though I felt better two hours later, I still felt off, so I took a second dose and watched the symptoms replay through my body in a reduced fashion. Shortly after that I was hungry and got up to eat some toast and warm honey lemon water. Its a wonderful thing to realize you have turned your health back on track and I will never cease to be amazed each time I do it. 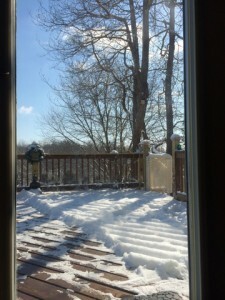 Once I realized it was Rhus tox that I needed, I remembered how hard I had worked on Sunday shoveling the 4 inches of snow off the areas where the snowblower couldn’t reach. I am so grateful to have homeopathic medicines in my life; they are all made from natural sources, plant, animal to mineral. 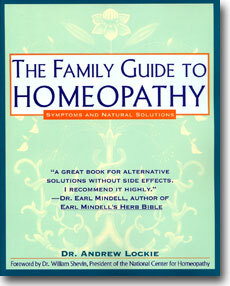 I am also grateful for all the beginner books on the subject, especially Dr. Lockie’s book. I am also very grateful for our own West Virginia Homeopathic Pharmacy in Berkeley Springs; Washington Homepathic Pharmacy.